In this fun blog you’ll learn how to personalize a white mug for a friend by getting their initial printed on in gold to make a great gift. With helpful photographs and an easy writing style, you’ll be picking up your crockery and stylizing it in no time at all. 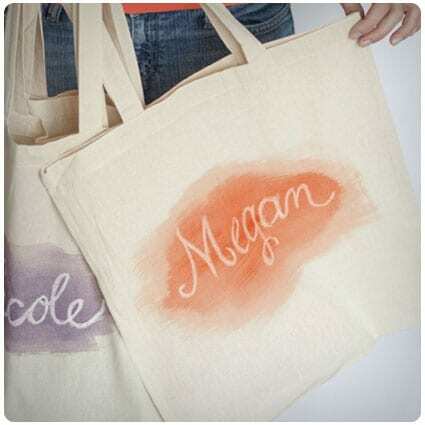 Learn how to make a tote for a bridesmaid which is personalized with their name. With some excellent photography to help you see the concept, this blog will take you through all the steps to make a great bag to house all the favors you wish to give to your bridesmaids. Learn how to make your own funny coasters with this amusing blog. By taking scrabble letters and then sticking them onto cork sheets, you’ll be able to come up with appropriate funny comments for any of your friends as shown in clear detail by this handy mom.